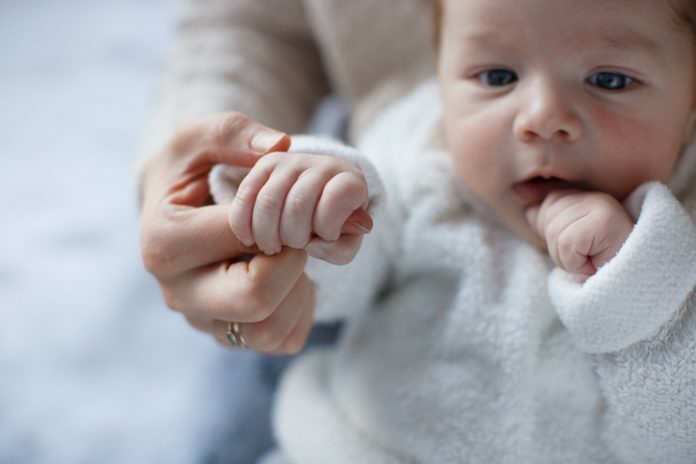 Genomic testing and health information company Sema4 has launched a newborn test that screens for 193 childhood-onset diseases and disorders with the intention of providing parents with additional information about the health of their newborn baby. Sema4 Natalis serves as an additional testing method for conditions beyond the 34 conditions on the Recommended Uniform Screening Panel (RUSP), typically screened in U.S.-based hospitals shortly after birth. The tests can be ordered directly by parents and the sample is collected by a cheek swab. Test results are typically available within two weeks online, and genetic counselors will contact parents and the child’s pediatrician should any of the 193 screenings return a positive result. Sema4 has partnered with virtual care company PWNHealth to provide the genetic counseling services. As Schadt explains it, Natalis is designed for testing for babies not exhibiting any symptoms of a disease or health condition. The intent is to provide information about potential health risk factors. The variants assessed in the test are known to play a role in causing severe diseases and only contains genes with known, highly penetrant variants—greater than 80%. While not every baby will develop the disease indicated, the risk factor is high enough to merit attention. In addition to screening for potential disease causing variants, Natalis also provides pharmacogenomics (PGx) information, based on the baby’s genetic profile, that provides information on how the baby will respond to 38 different medications commonly prescribed in the early years of life. Pediatricians are provided with the PGx information to help them avoid prescribing a potentially harmful medication, or to help guide proper dosing. Sema4 Natalis was developed by researchers at Sema4 and the Genomic Sciences Department at Mount Sinai Hospital. The team narrowed down the testing panel from a set of more than 1,200 autosomal recessive, X-linked, and autosomal dominant conditions to include diseases that manifest in the first 10 years of life and those that are highly penetrant (greater than 80%). In addition, all the diseases included in the test needed to have associated treatments, disease management plans, or an active clinical trial that could positively affect clinical outcomes. One of the goals for Sema4 with the Natalis test is to help families alleviate the diagnostic odyssey too often associated with rare childhood diseases, which often stretches between seven and 10 years. Can Transcriptomics Help Find the Right Time to Administer Chemotherapy?